I love your stockings Hilary ! Every Christmas eve our family go to the midnight service at our church (which is next door!) then everyone comes back for mulled wine and mincepies ! I like baking lots of cookies and taking them to family, friends and neighbors at Christmas time. We slept in our own rooms, but the door to the living room was closed and no one could go in there until everyone was awake and ready. My brother usually came into my room and got me then we went in to our parents room and all went into see what Santa brought together. -- The favorite part now that I'm a grownup is just getting together with my parents, my kids, and my brother and his kids, for some chicken and dressing that my mom cooks just like her mom cooked. My favourite holiday tradition is definitely the advent calender - working through it together each night as a family is really special. my fave holiday tradition when my kids were little my son (the oldest) would read the night before christmas to my daughter. such a sweet picture i have of that. Family gatherings, especially so as we are getting older and many are no longer with us. I'm a follower through your e-mails. My favorite tradition was started years ago, for as long as I can remember! On Christmas Eve we always had stacks of fruits and candy under the tree but we couldn't eat anything until 6:00 PM! that was the magic hour! Even when we all were married we still gathered at mom and Dad's on Christmas eve for dinner, gift opening and of course the fruit and candies! I love the QAYG stockings! My favorite tradition is to buy a new ornament each year that reminds us of something we've done that year. 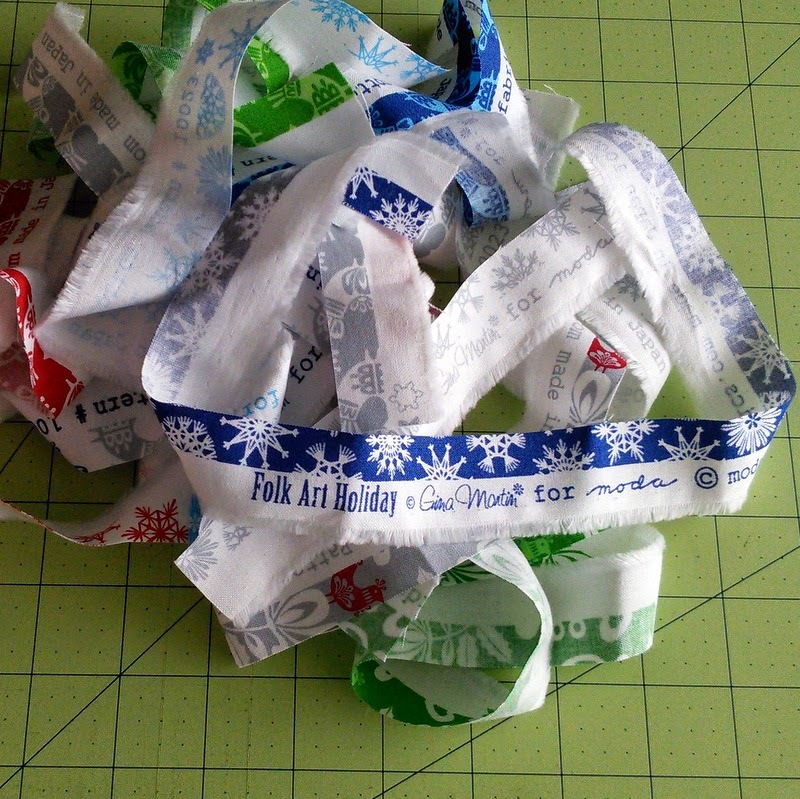 So, when we decorate the tree we have many memories to revisit. I loved Christmas as a child . . . . soup supper and presents from our family on Christmas Eve . . . then waking up early to see what Santa brought on Christmas morning. One year my folks gave my brothers and me a tape recorder . . . they hid it in a drawer and recorded our gift exchange time, we were so funny! I was probably 11, my older brother was 12 and my younger brother was 3. Your stockings are so cute! I would love to see an in depth tutorial on this. My favorite Christmas tradition is making my mom's fudge recipe with my kids. I am a new follower via email. Our tradition is Christmas Eve, Our heritage is Polish and we have our traditional dinner with special foods that we prepare...i am happy to say that my children carry on the traditions...and i follow you on your blog and FB thanks!!! HI, your stockings are so neat! Thanks for sharing the Tutorial! My favorite Christmas Tradition is gathering together with our family and friends to read of Jesus's Birth and share with each other! Thank You for a fine giveaway! My favorite Christmas tradition is baking as many cookies as I possibly can and giving them out to everyone that I know! Thanks for the giveaway! Every year my grand children come over the week before Christmas and we make Christmas cookies and candy for every on in the family. I also follow you on Facebook and Instagram! Great inspiration! Favorite--making gingerbread houses with my kids. These stocking are so cute. 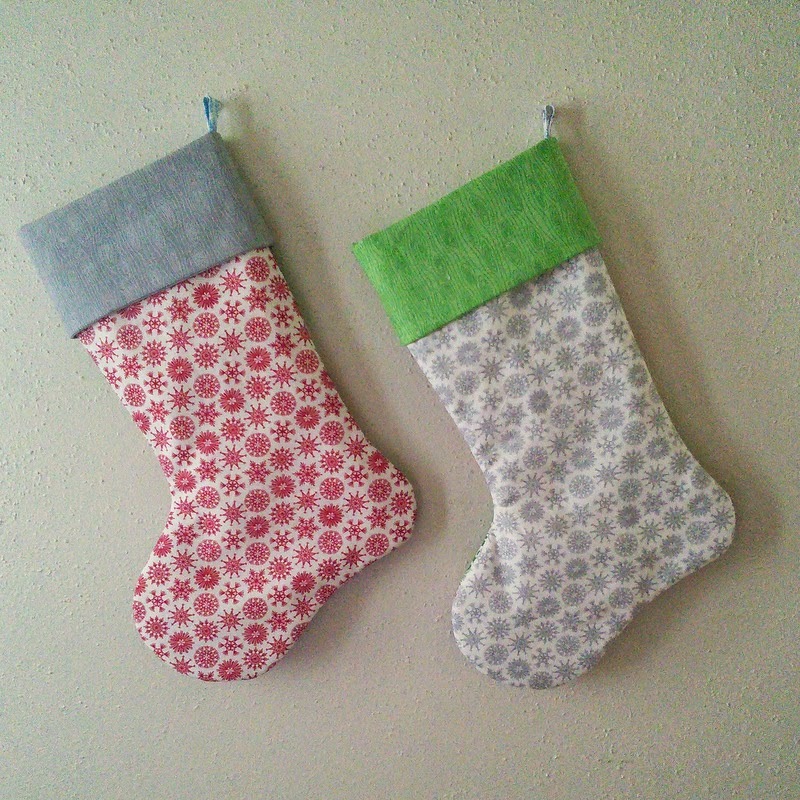 I am loving seeing the Christmas fabric and projects. It's totally getting me in the mood. My favorite Christmas tradition is helping my Dad my Hungarian Kifli's a few days before Christmas. Then my Dad won't let anyone eat ANY of them until Christmas morning. So yummy!!! 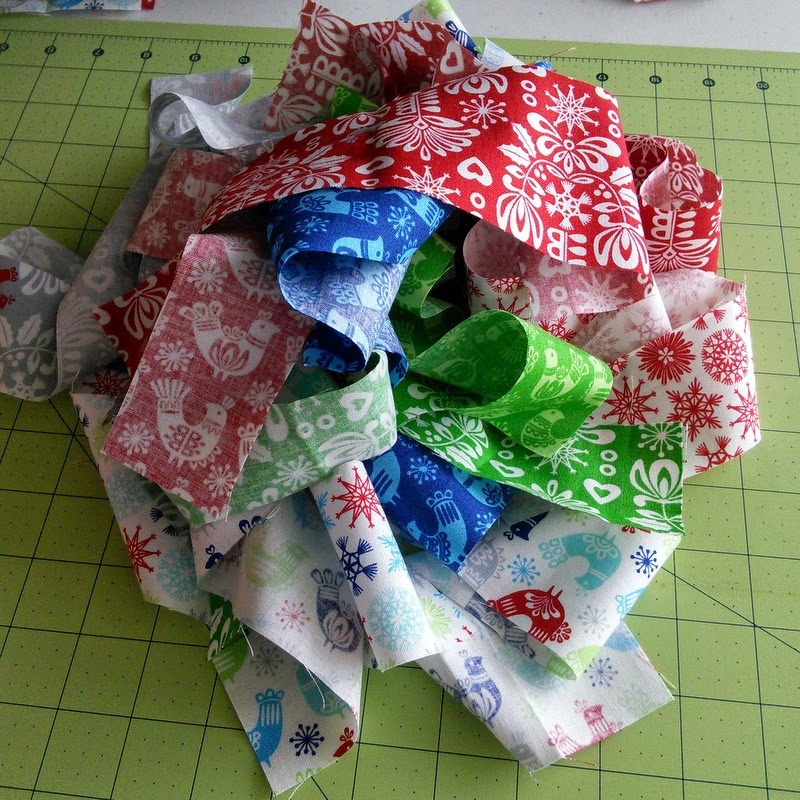 I am loving seeing the Christmas fabric and the cute projects. Totally putting me in the mood for Christmas. My favorite Christmas tradition is baking Hungarian Kifli's with my Dad. So yummy!!! Cute stockings! Having something for the fireplace is even more fun since it won't get used with an actual fire in Houston. :) My favorite thing is all the Christmas foods and spending time with family since we all live so far apart. I found you via Moda Fabrics on Pinterest and I'm very glad I did. Love your blog! We share a similar tradition. All of the cousins would pile in one bed and "sleep" together on Christmas Eve. Neither the kids nor the parents had much sleep with all the whispers and giggles, but we sure had fun. My favorite tradition is watching A Christmas Carol on Christmas Eve, followed by scripture reading, and opening presents from family. Then we would put our stockings out with our small pile of gifts, so that Santa could know which pile was each of ours and fill our stockings with candy. My favorite things of Christmas are church, family and food, or some combination of all three. I love your stockings! One of our traditions is to ride around the weekend before Christmas and look at all of the lights and decorations in our neighborhood. Thank you for the giveaway. Our favorite tradition is all 3 boys have to sit on the steps and let me take a pic on Xmas morn before they go in to see what Santa left. They are 16 18 and 20 but still do it! My favorite Christmas memory is decorating the tree and turning on the lights for the first time. We always had a fresh cut tree my dad cut himself. Sometimes it was a Charlie Brown tree, but that didn't matter. Santa always left the stockings on the kid's beds so they could open them in the morning while mom and dad got a bit more sleep! Our family bakes Christmas cookies every year. The kids decorate and the adults taste test. Your stockings are so cute. My favorite tradition is a rather recent one. My hubby and I spend the night with our daughter and her family Christmas eve so we can see the grandkids' reactions Christmas morning. The last 2 years our son and DIL have been in town too so it's been a real free for all with loads of family fun. We gather a couple of weeks before Christmas and have a bake-a-thon making all kinds of cookies. My favorite Christmas custom has become baking LOTS of cookies as gifts for our neighbors! My favorite Christmas tradition was staying up until midnight on Christmas eve and always talking my parents into letting us open presents! Thanks for the giveaway! Decorating the house and the tree with my kids is my favorite tradition. Thank you for the chance! The kids would open a present on Christmas Eve, then we would get up early in the morning and open presents. Then my Dad would make biscuits and gravy and we would all fall back to sleep. I love Christmas with my family! Every Christmas Eve the kids put on new Christmas pajamas, hang a new ornament on the tree and we listen to the story "Polar Express". After that the kids go upstairs and sleep in the same room. My favorite Christmas tradition is to have the kids in the family decorate the Christmas tree. Sometimes it turns out lop sided, or sometimes all the decorations are all at one level depending on the height of the kids, or sometimes all the decorations are all in one space depending on the age of the kids, but the tree is always absolutely beautiful! Thanks! My favorite holiday tradition is much like yours. When I was little I got to sleep upstairs with my big brothers and after Santa came he would always shout "HO HO HO" up the stairs. Funny.. He sounded just like someone I knew!! 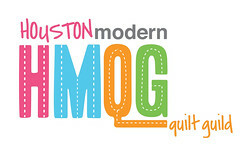 I follow Young Texan Mama on Bloglovin. When my girls were younger we would go to a tree farm and walk for what seemed like hours to find the perfect tree. The smell was piney. Also the baking of their favorite cookies! So much fun! Your stocking was so cute. I am in need of making one for my grandson! We always go to the Christmas Eve service at church. Love your stockings! My favorite tradition when our children were at home was baking their favorite recipe of cookie with each one of them - special time together. My favorite tradition was making tons of cookies. We had such a variety, and mess, especially with the icing! Our family Christmas tradition is for our entire family to go to church together for a candle light service on Christmas Eve and have a special meal afterwards. I love the print you used for the backs of your stockings. My favourite tradition is the whole family getting together on boxing day (the 26th) to exchange christmas presents and to celebrate my uncles birthday. Two of my favorite traditions is that we get a Christmas puzzle going in the tree room and people work on it off and on, the catch is the gifts can't be opened until the puzzle is finished! It's fun to see the kids interest in the puzzle increase the closer we get to Christmas Day! The second one is individually wrapping about seven children's books for my niece and nephews to pick one each night to unwrap and read before bed! Thanks for the chance! Nail so follow via bloglovin! What great stockings! My favorite holiday tradition is our family's annual white elephant gift exchange. I keep my eyes open all year for the gifts that will make people groan. Great stockings! I used to do the cookies and candy, lots of fun but really I like the Christmas Eve midnight service followed by Breakfast and cards and games. Lots of fun. 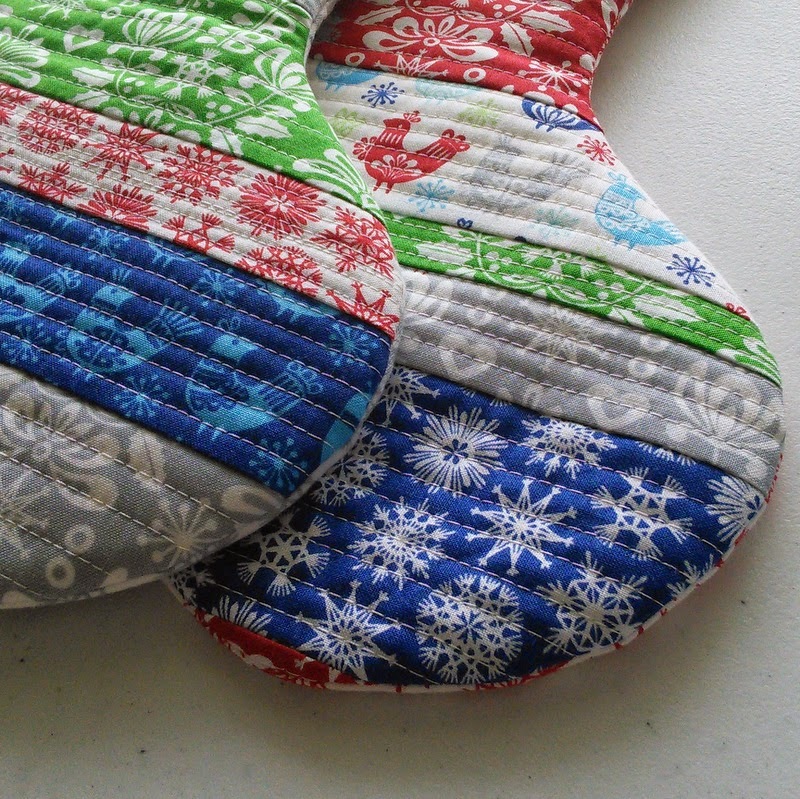 Your stockings are fantastic, thanks for sharing how you made them! 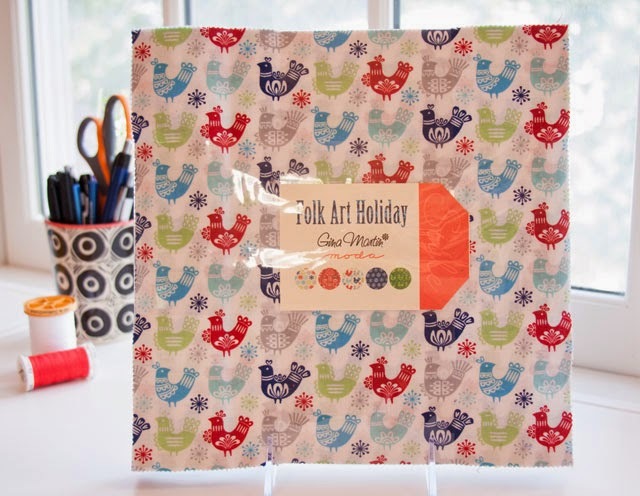 I love the folk art christmas fabrics, have just bought some charm packs of them; thanks for the chance to win! I'm new to your blog and now follow you by email. Love this fabric collection. We always opened one present after midnight mass then had to wait till everyone was up to open the rest on Christmas day. My mother always made beautiful fruit shaped and painted marzipan for Christmas. My favorite Christmas tradition is a special food my grandma makes - meatballs made with ham and pork called ham balls. My favorite tradition is putting up the tree. My favorite Christmas tradition is that we open our presents after breakfast and AFTER the dishes are done! My, do the kids scurry around to get the dishes washed while I get to enjoy my coffee! We always come downstairs together early Christmas morning and open stockings. Then my husband and I fix a nice breakfast served on our special Christmas morning dishes. By opening presents after breakfast, it stretches Christmas morning and makes it so lovely! I follow you (from Dallas) via Bloglovin. The only real family tradition we had growing up was that we needed to clean the house prior to opening presents! Now that we're all grown but often broke, me & my siblings & all the S.O. 's (7 people in total) have started doing a white elephant ornament exchange - since getting a tree every year is the one personal tradition I have (yes, I know, it's basic, but I didn't grow up with it, so it's a start! ), it's nice to get cute ornaments. Well, they aren't always cute and sometimes get saved for a different white elephant. We also do (not so secret) secret Santa. It's actually worked out pretty well - we all spend less money, a lot of the pressure is taken off, and the presents given / gotten are actually nicer. One of the Christmas traditions we started was to celebrate on Christmas Eve and bring small gifts and play bingo so that everyone walks away with a gift. The children love to play and the rest of the family eagerly awaits the gift surprises all while enjoying family and great food. What a fun tradition! Not a Christmas tradition, but we always go bowling and then out for ice cream on New Year's Day. I like the pre-pre Christmas tradition from our days of living in Germany, we put a boot or shoe outside our door on Dec. 6th and St. Nik fills it, I have started the tradition with my kids too and so has my brother! I love the matching stockings! My goal is to make a set for my family eventually. 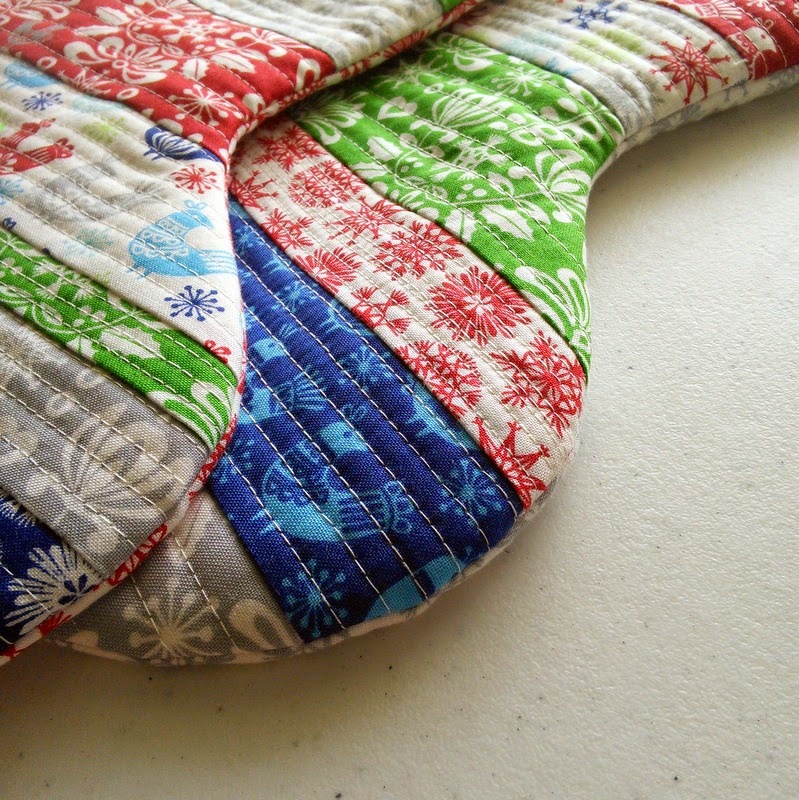 When I was a kid, we would hang up our stockings and Santa would fill them up (and they were huge - as an adult it comes past my knee) and leave them draped over the foot of our beds. My sister and I would take them into my parent's room and play with our new toys while my parents lounged in bed - win-win! I definitely want to continue this tradition with my son. One of my favourties is New Years Day. It's also my Dad's birthday, so whatever the hangovers are like, we head over to their house and have a nice family dinner. I's more low key than Christmas dinner so nice an laid back. My high school friends who are back in town all meet up on Christmas night and I love to see them and to hear about their family events. Going with my family to the mountains to pick and cut our tree. My mom didn't like to wake up early, so Santa came to our house on Christmas Eve. After dinner, we would get into the car to go look at Christmas lights. But all of the adults suddenly discovered a need to use the bathroom. So us kids would wait and wait in the car. Finally, we could go for our drive. When we got home, we found that Santa had been there. Mom could sleep in! New sets of PJ's on Christmas eve for everyone! 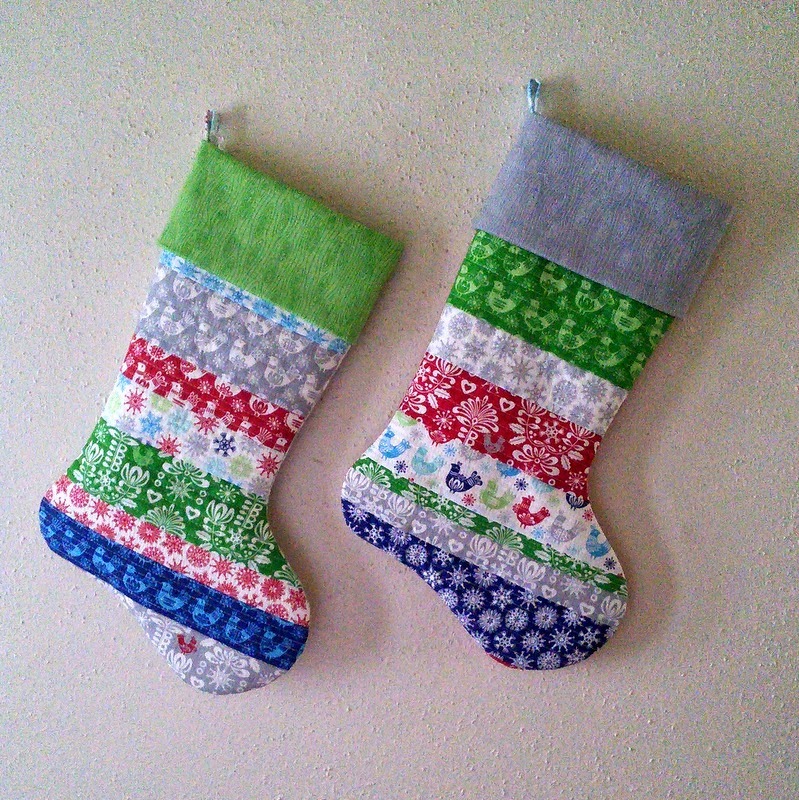 I love your stockings - I need to make some this year for my family! My favorite tradition is St. Lucia's Day with my family! One of my favorite traditions is to get in the car & ride around looking at Christmas lights! I still do it even though my kids are grown & have their own new traditions with their kids! I've been following through Bloglovin. My favorite tradition is driving around together each year (usually with hot cocoa too) to look at all the different lights people have put up! Our favorite family tradition at Christmas time is to drive around the town at night to see all the lights and decorations!! Love your stockings and this is a perfect idea for me because I want to make new ones for us... Matching ones would be nice too! The stockings are so cute and I love how you used multiple fabrics. Thank you! My favorite holiday tradition is going with my family to the Christmas tree farm and finding our tree. We make a day of it and it always kicks off the Christmas season for me. My kids are still young so we don't have traditions started too much yet, but when I was little we were always allowed to open one gift on Christmas Eve. Because my sister and I were close in age we would usually get the same thing from everyone so we would plan what gift we would open! The grandkids get new pjs and a new movie to watch on Christmas Eve. A tradition we loved doing was going to the lake to see the bald eagles (they show up in our area at Christmas) and have cookies and hot chocolate. We would do this on Christmas Eve, but now the kids are grown and gone but we have those memories. When we were young my Sister, Brother and I were allowed to open a gift on Christmas Eve and it was always a new pair of P.J.'s. When Hubby and I had our 4 Daughters we did the same and now my Daughters are carrying on the same tradition. 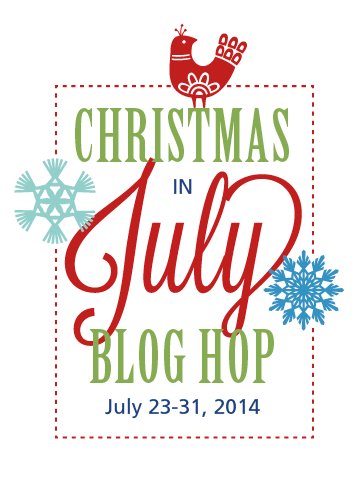 I found your Blog because of this Christmas Blog Hop and I am now following on Bloglovin. My favorite tradition was at my grandparents. The Christmas tree was up, but not decorated, when my brother and I went to bed on Christmas Eve. After 'Santa Claus came', we were woken up to a beautiful sight -- a decorated/lit tree, presents under the tree, a fire in the fireplace, and eggnog and cookies for all!! We all opened our presents and then after all the merriment, all went to bed. The bonus, is on Christmas morning, my brother and I could play with our new gifts, and the adults could sleep in!! I followed a modified tradition with my own children, and my youngest, loved it. LOVE the cross-stitch! In my spare time (ahahahaha) I love to cross-stitch after the baby is asleep. :) Right now our favorite Christmas tradition has to be making new ones with our daughter. We loved watching Grinch with her last year for her first Christmas. We really enjoy driving around looking at all the beautiful lights. Your stockings are adorable! Thank you!